Hello my name is William and together with my business partner Gary we set up Belvedere Collections 15 months ago. I come from a graphic design and e-commerce background whilst my partner Gary has been in retail for most of his working life. I was winding down a mobile phone accessory business I had been running for the last 5 years and wanted to start a new business which involved more graphic design, something which I really missed when I was running my last business. I have always been a bit of a magpie when it’s comes to things that I like and I think that reflects in my artwork. I like variety and I’m comfortable designing something quite precise and minimal and then producing something frothy, light and fun. I draw inspiration and references from pop culture, fine art and photography and film and tv. 3) Where did you learn your craft? 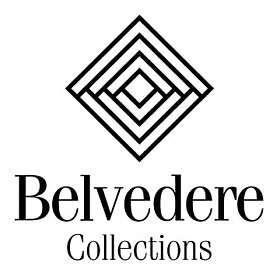 I studied graphic design in London and I had some knowledge about laser engraving before I started Belvedere Collections but I mainly learnt ‘on the job’. 4) What do you like the most about creating personalized items? I like the fact that the items I make are limited in numbers and they are often gifted from people who have a keen eye for design and who are prepared to spend that little extra bit of time seeking out such items for a loved one. When I was studying at uni I was a regular customer at the Zwemmer art book shop on Charing Cross Road in London and I always found myself in the gift shops after visiting exhibitions or galleries which took a bit toll on my overdraft. These were pre internet days and such books about graphic design, typography, photography and fine art were great sources of inspiration and a zeitgeist to what was happening at the time. 6) You have a passion for woodworking. How do you select the wood you use? 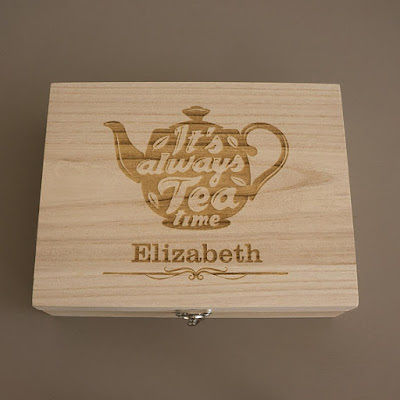 There are some limitations on what types of wood I can cut and engraving with my equipment. 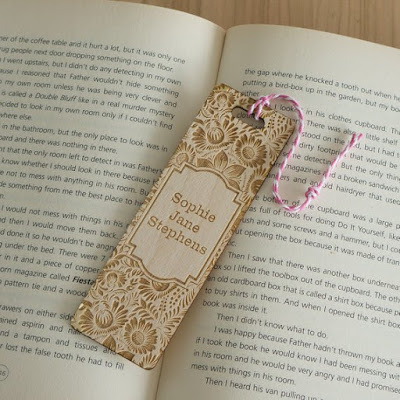 When I started making bookmarks I tried a variety of hard and soft woods, some were too thick and were intrusive when placed in a paperback and some of the more expensive veneers I tried weren’t very durable. I found a fine balance with the 2mm FSC birch wood ply that I currently use. 7) What does your work place look like? 8) What do you like the most about having your own shop? I enjoy the variety of tasks I get to do on a daily basis. I like the rhythmic nature of processing orders, making items and packing parcels and then there are days when I can sketch out new ideas for products, research whether if there is a demand for them and if they are profitable. Once I have crunched all the numbers I will complete the artwork on a computer, prototype them and bring them to market. 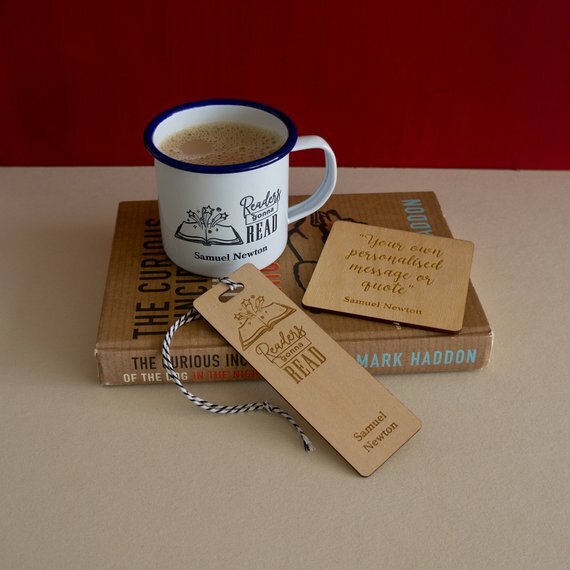 All of the readers of With Love for Books can use a special 15% discount code which can be used on all items in the Belvedere Collections shop. Please use the code LOVE4BOOKS to receive the discount on your chosen item(s). This code will be valid until August 28th. 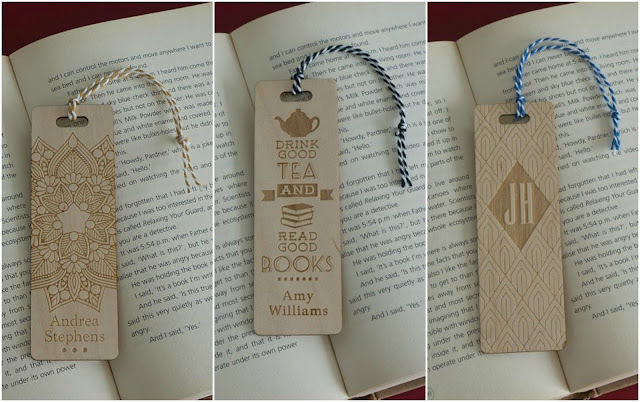 Three very lucky readers of With Love for Books will receive a personalised plywood bookmark from Belvedere Collections. 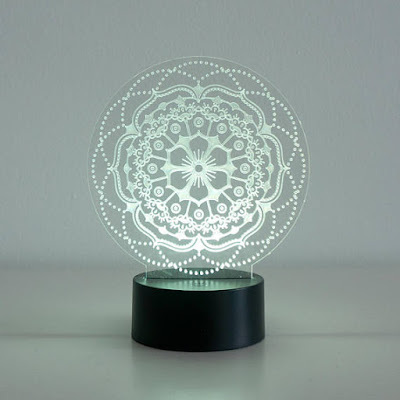 Those are some beautiful designs, so intricate! I love your work! Especially the cat sign. The quality and design look amazing. Unique and fun too. These are so wonderful I would have a tough time choosing! 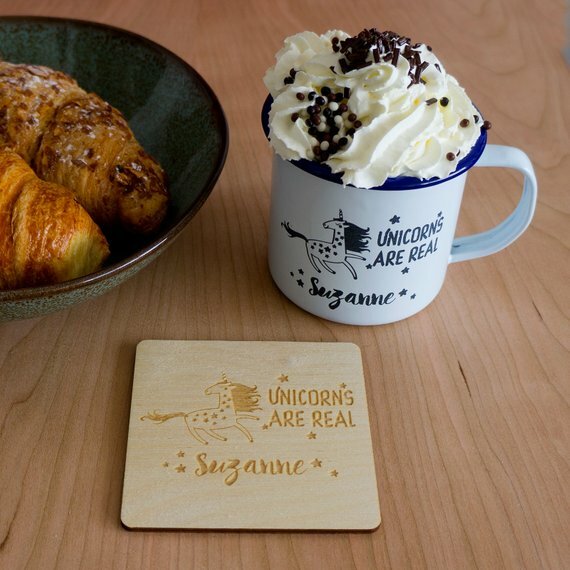 Quality items on the website, I love the funny signs. Very beautiful work! Are they solid or easily broken? I'd like to know how careful I would have to be with one if I decide to purchase. I'm loving all of your wonderful products. Your art objects are so cool, especially the bookmarks!! 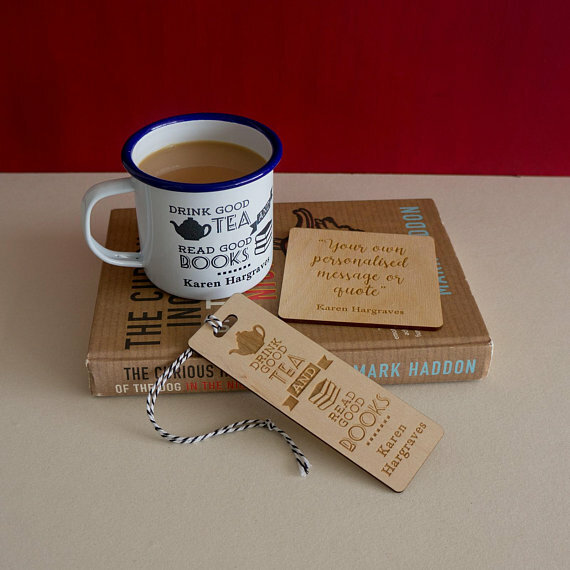 Your products creatively and beautifully express our love for books! BRAVO!!! So many great items. Perfect gifts to self and others. All your creations are wonderful! It is very difficult to choose! I love Etsy in general, so many great artisans. I am going to keep the sugar skull lamp in mind for my son and the personalized vape box for my husband. They would both make unique gifts and would be appreciated. These look amazing - would love to win one for my Dad to give as a birthday present! I love your design's, so original. I've been colleting bookmarks for a few years now, ever since I became an avid reader. 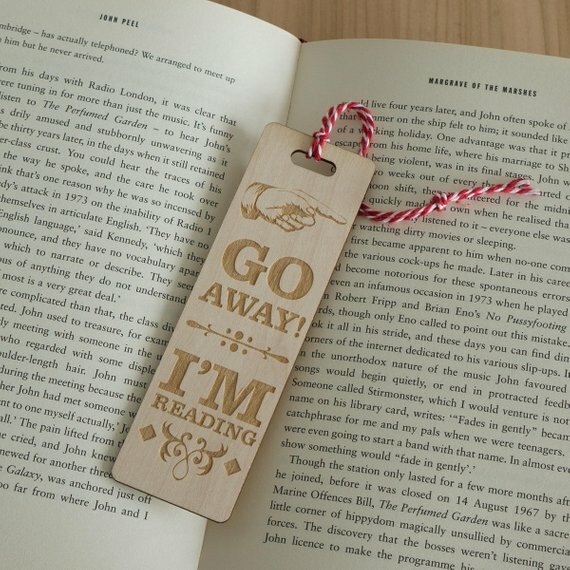 I'd love to own one of your fabulous bookmarks. Wow, these are amazing. Perfect gift for birthdays and Christmas, or just to say "thinking of you". A very unique and original idea. These are fantastic, I had a look on the the etsy site there is so many products on there that I love!! Love the woodwork. It's really beautiful. 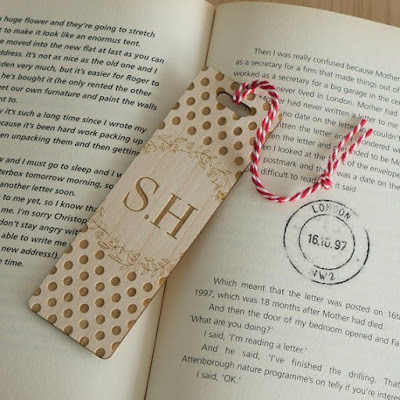 Love the intricate details on the bookmarks!! Just beautiful! Great gift for any book lover! your stuff is so cool I realy love them and the cat one are so funny.